Read up on what Nobel Prize winner Richard Thaler has to say on the topic of complexity in the newest edition of our Think:Act magazine. Miami airport. A man, briefcase under his arm, leaps down the escalator, past the lines of rental cars outside and whips out his smartphone. He's received an alert: "Fred, your car is waiting for you just to the right and next to the exit." A silver Audi A4 shimmers in the morning light. The gas tank is full. The navigation system is fired up and the Wi-Fi and satellite radio are ready to go. With a click of his smartphone, Fred unlocks the car, jumps in and drives off. 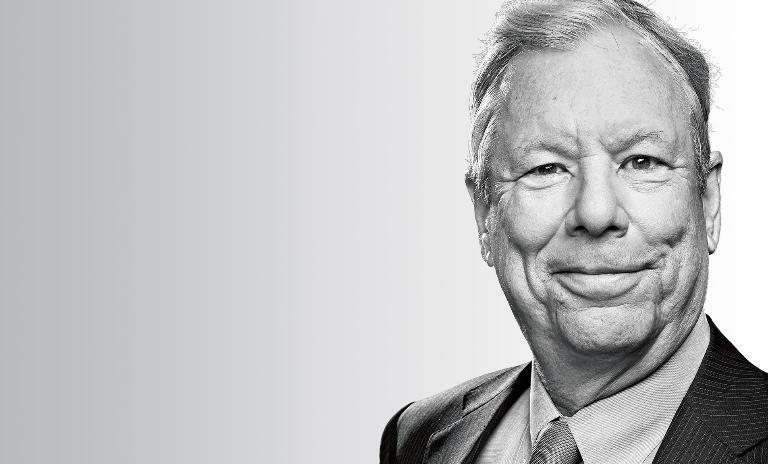 Richard Thaler, Nobel Prize winner and behavioral finance guru, features in our new Think:Act magazine. It sounds simple – and it is. This is how Silvercar does car rental, stripped right back to the basics and delivered in a smart, high-tech fashion. The car is always the same: a silver Audi A4. The process has been streamlined so there's no standing in line, no paperwork, no confusion about add-ons. For Silvercar CEO Luke Schneider, simplicity is at the heart of the brand and is the key to its success. "For our customers, simplicity is the new luxury," he says in a stylish, yet simple, promotional video for his brand. "They want it plain and easy… We have aimed [our offer] at people who want three things: Buy only what you want, pay only for what you use and use your mobile device to do it." Since the company was founded in 2012, it has expanded to 15 US cities. It's not just customers who seem to like it: Automaker Audi announced it was taking over Silvercar in April this year. In a world that is becoming ever more complex, simplicity is attractive again. Modern shopping choices can be bamboozling, whether it's being confronted by 170 kinds of jam on the supermarket shelves or having to decide on a pair of jeans. Being a consumer in 2017 can quickly turn into a full-time job that needs a day to finish. Overwhelmed by choice, many consumers crave simple solutions, or as behavioral economist Richard Thaler puts it, a good default option to defer to. American psychologist Barry Schwartz has managed to summarize today's consumer dilemma with a catchy slogan: He has dubbed it the "paradox of choice." The more choices one is given, the greater the pressure is to make the perfect decision. The result is overload, paralysis and growing frustration. Choice feeds doubt: Perhaps I could have made a better decision? "We know that because customers are busy, they are surprisingly likely to take whatever option is made the default." All that has consequences for consumer behavior. In a field study, business psychologists Sheena Iyengar and Mark Lepper, from Columbia Business School in New York and Stanford University in California respectively, proved that customers prefer to be given a smaller selection to choose from rather than be flooded with options. Give them six types of jam to choose from and 12% will buy, but give them 24 different kinds of fruit spreads and only 2% will make a purchase. But it isn't just the vast array of products that people are finding a burden in the day-to-day life of the global economy. Complexity is growing in other ways too. Take what should be a simple time-saving device such as the TV remote. Coupled with the on-screen guide, you almost need a PhD to know how to use it properly, and it all increases stress levels. The antidote is to prescribe more simplicity to cure the ills of complexity. A study conducted by the Gottlieb Duttweiler Institute (GDI) in Zürich found a growing need for simplicity. "In the 'Age of Less,' consumers are looking for simple products – simple in their operation, clear in their use and design," says GDI CEO David Bosshart. "They want clear offers that provide orientation." Some even want fewer possessions, preferring to share things with others. Perhaps the days – and burdens – of ownership are numbered. "We already know from brain research that people have a fundamental need for a simple solution," says Ulf-Brün Drechsel, BrandMerchand managing director and formerly of New Yorkbased Siegel+Gale. In 2017, Siegel+ Gale's team of branding experts conducted their seventh survey of 14,000 consumers in nine countries on the topic of simplicity. The result? Customers prefer companies that they perceive to be simple and whose offers and uses they understand easily. Some 61% would prefer to recommend simple products and 64% are even prepared to pay more for them. Siegel+Gale's bottom line: "Simplicity pays off." The newest edition of our Think:Act magazine explores the topic of complexity. But how can simplicity be put into practice in a complex economic world? Just ask Dieter Brandes. As a top member of supermarket giant Aldi's management board in the 1970s and 1980s, Brandes helped shape the direction of the chain. "If you want to do things simply, first of all you have to understand complexity," says Brandes. For a food retailer, that primarily means getting to grips with the complex processes that lie behind every single item and element of organization: logistics, sales, suppliers. "Every item is linked many times to all the others. The more items, the more closely they interlink and the more complex the process… The solution is simple: fewer items, simpler organization." Brandes calls this approach the "Aldi Principle," which he summarizes in his book of the same name. It's based on rigorous limitation. Whereas most supermarkets stock 40,000 to 90,000 items, when Brandes was working there Aldi kept only 600 on its shelves. This brings with it a number of distinct advantages. Firstly, it drives down prices in purchasing. Secondly, it forces exact and precise checks and balances. For every item that the Aldi management wants to add to the selection, another needs to be taken out. Each and every product is tested for three months in three stores and then the decision is put into effect.The principle is trial and error. Market research is irrelevant. 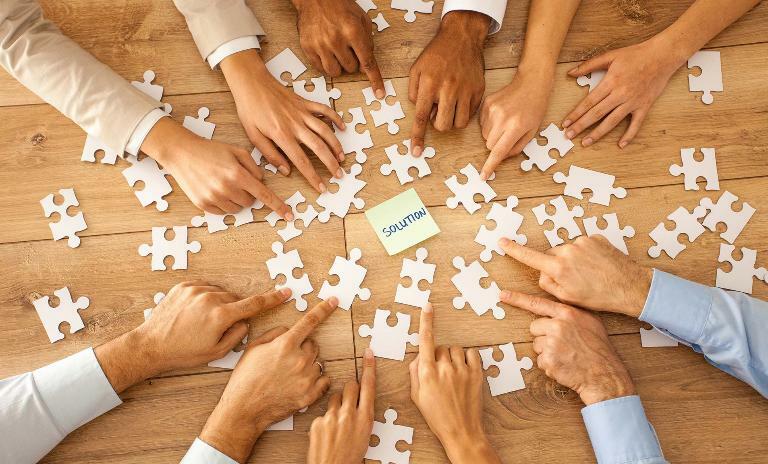 A decentralized organization team is in place so such decisions can be discussed in close contact with the individual branches. This means that there are no superfluous or expensive management positions standing in the way. As Brandes describes it, "as long as the core principle of the business model can be relayed like it is in cell division, then that will even work in a global corporation." The basic framework of the Aldi Principle is still in place. The key element, according to Brandes, is that "the customer is also extremely satisfied with the smaller selection… If there's an excellent quality toilet paper on offer for a low price, then they often don't need two to choose from." But he is the first to admit that such a strategy requires courage, and that there is a risk that a company can lose customers this way too. "But fear is the biggest driver of complexity," he says before adding: "Ask yourself what the customer wants, not what more can you offer!" Günter Faltin agrees. His customers only have to handle one single item: pure Darjeeling tea. That's it. Nothing more. Nevertheless, the Teekampagne tea company's founder has seen his profits rise for 30 years. "In the end, [customers] want top quality at a fair price and they want it as easily as possible," says Faltin. Yet while customers do expect to be treated well, they don't want companies to put them first all of the time. Or, as Faltin puts it: "They see companies more like experts who advise them and who select the basics out of the complexity." Back in 1985, Faltin was at the Free University of Berlin as a professor of entrepreneurship and wanted to set up a company. How could he teach his students when he had no experience himself? One thing he was sure of was that the product had to be something that he could defend alongside his academic position. Something simple, something manageable – something like tea. He visited plantations and auctions, assessed distributors, importers and exporters and spoke with logistics companies. He soon realized that a lot of middlemen and small packaging is what makes tea so expensive. So he made the packages larger and got rid of the go-betweens. "I save so much money that way that I can sell the best tea in the world for a third less than anyone else." Today the company is the largest Darjeeling tea dealer in the world with annual sales totaling $11.5 million. Simplicity experts Chris Brügger and Michael Hartschen see time and time again how hard it is for businesses. "The old dictum 'more is better' continues to have an effect," says Brügger, who wrote a book with Hartschen and colleague Jiri Scherer on simplicity as a business strategy called, very simply, Simplicity. "To say goodbye or to reduce what's been established, and to do so while others are diversifying, naturally also holds a risk." Especially as companies with a wide product range are very often also rather successful. "But simplicity is an important strategic attitude for finding out, step by step, what fits your company, where your own strengths and the needs of your customers lie," says Brügger. For Keisuke Okushita it's an obvious choice. "The philosophy of simplicity and transparency is rooted in the Japanese culture," says Okushita, who is managing director for Japanese lifestyle chain Muji in Germany. "We consider it a clever, contemporary concept that helps to avoid waste, reduces costs and aids us in being able to offer a reasonable price." Muji consistently forgoes the bells and whistles. Everything Muji sells rests on its own purpose and style without the addition of a label, whether it's a cosmetic box, a shirt or a pencil sharpener. Is every product as simple as possible and still functional? Okushita calls this the "hidden intelligence of simplicity." The primacy of simplicity, as the philosophy goes, is that having it in focus helps sharpen your view of how something can be even simpler, even clearer and even better. "Simplicity is one of the most important concepts by which we clearly differentiate ourselves from our competitors," says Okushita. For its customers, Muji has become an attitude to life and way to express a need for clarity in a complex world. What could be simpler than that? One of your key theories refers to what you call "choice architecture." Can you explain what that is? What does "responsible leadership with choice architecture" mean for managers? In our book Nudge, Cass Sunstein and I define choice architecture as the environment in which people make decisions. It includes all the aspects of that environment that can influence the choice someone makes, whether or not those influences would affect someone who was making what economists would consider to be a "rational" choice. A classic example is the setting of default options. We know that because customers are busy, lazy and often confused, they are surprisingly likely to take whatever option is made the default. "Responsible leadership" refers to the way choice architects utilize their ability to influence decisions. Do they "nudge for good," as we urge, helping people achieve their own objectives, or do they steer people to choices that help the choice architect? Richard Thaler is the co-author of Nudge: Improving Decisions About Health, Wealth and Happiness, and Misbehaving: The Making of Behavioral Economics. 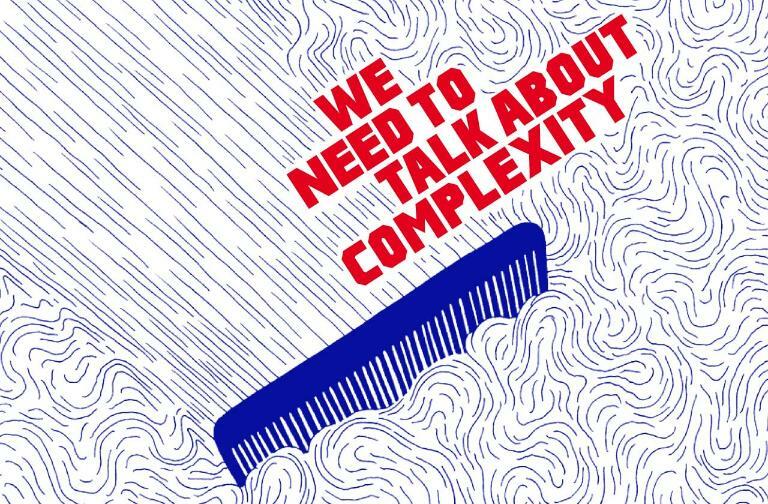 Article by Anja Dilk from our new Think:Act magazine "We need to talk about complexity". 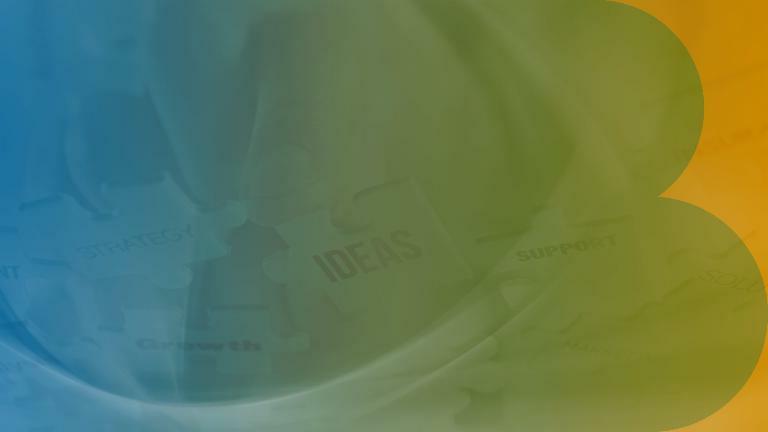 Curious about the contents of our newest Think:Act magazine? Receive your very own copy by signing up now!